MILWAUKEE: Two-thirds of the continental United States will be a frozen ice box Tuesday, as the so-called polar vortex of frigid arctic air spins across the US Midwest, clips the Great Lakes, the Ohio Valley and pushes on into New England. And the sub-zero cold and bitter winds are set to stick around for a couple of days, possibly bringing dozens of record lows with a life-threatening freeze before dissipating by the weekend, the National Weather Service reported (NWS). “You’re talking about frostbite and hypothermia issues very quickly, like in a matter of minutes, maybe seconds,” said Brian Hurley, a meteorologist with the Weather Prediction Centre. The cold also prompted officials to close some schools in eastern Iowa, while Chicago Public Schools officials said they were monitoring the weather ahead of Wednesday’s cold snap. The Chicago Zoological Society, meanwhile, said it’s closing the Brookfield Zoo on Wednesday and Thursday to ensure the safety of employees and animals. It’s only the fourth time the zoo has closed during its 85-year history. 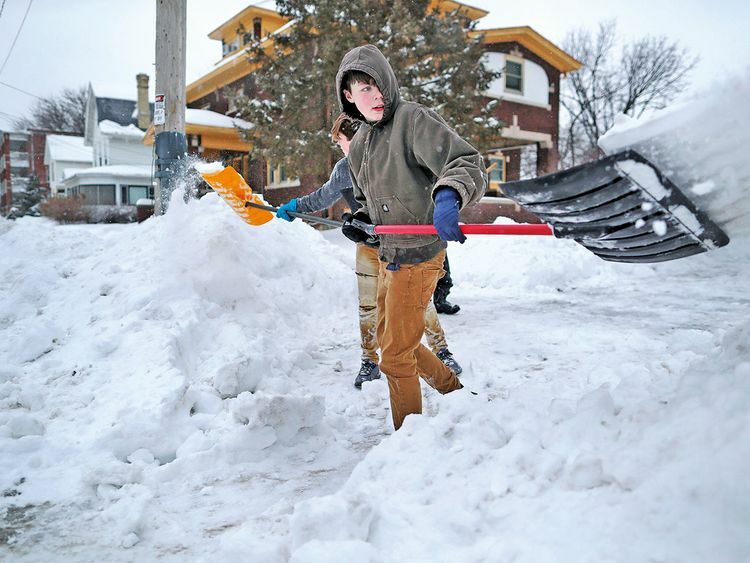 Sub-zero temperatures will begin Tuesday but Wednesday is expected to be the worst. Wind chills in northern Illinois could fall to -48 degrees Celsius, which the National Weather Service called “possibly life threatening.” Minnesota temperatures could hit -34 degrees Celsius with a wind chill of -51 degrees Celsius. The potentially record-breaking low temperature forecast in Milwaukee is -33 degrees Celsius, with a wind chill as low as -45 degrees Celsius. The current record of -32 degrees Celsius was set in 1996. The hardest-hit area will be the Midwest, where wind chill could bring temperatures as low as -46C in the Chicago area by Tuesday evening, the NWS reported. 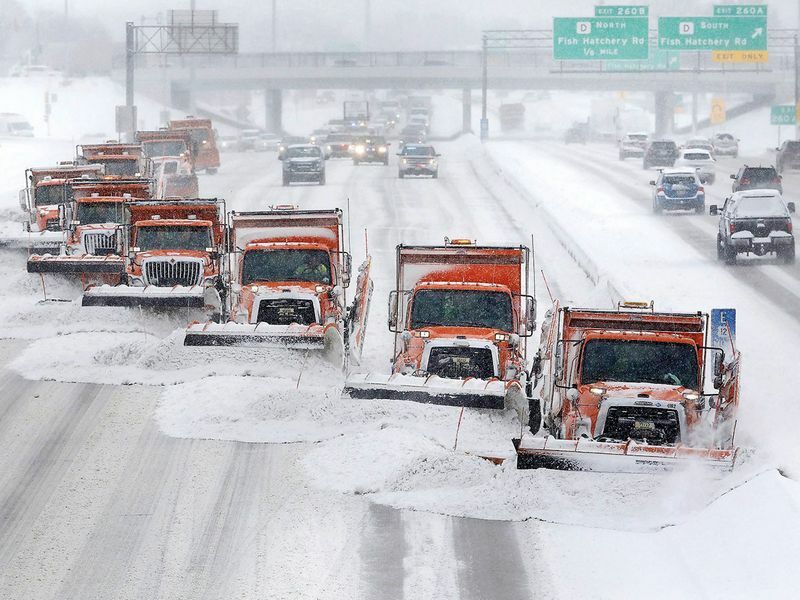 One-to-two feet of snow was forecast in Wisconsin, and six inches in Illinois. Even Alabama and Mississippi could see snow, the service added. “This arctic air dumps out of Canada and will affect us for days,” said Richard Bann, a forecaster with the NWS’s Weather Prediction Centre in College Park Maryland. “We’ll even get some snow this afternoon in the (Washington) D.C. area,” he said. “And because it’s so cold, there won’t be much of a warm-up Wednesday. You’ll have to wait for the weekend, before you see any higher temperatures.” Blizzard conditions were predicted across parts of the western Ohio Valley and snow was expected through Wednesday from the Great Lakes region into New England. States of emergency have been declared from Wisconsin and Michigan, down to Alabama and Mississippi. 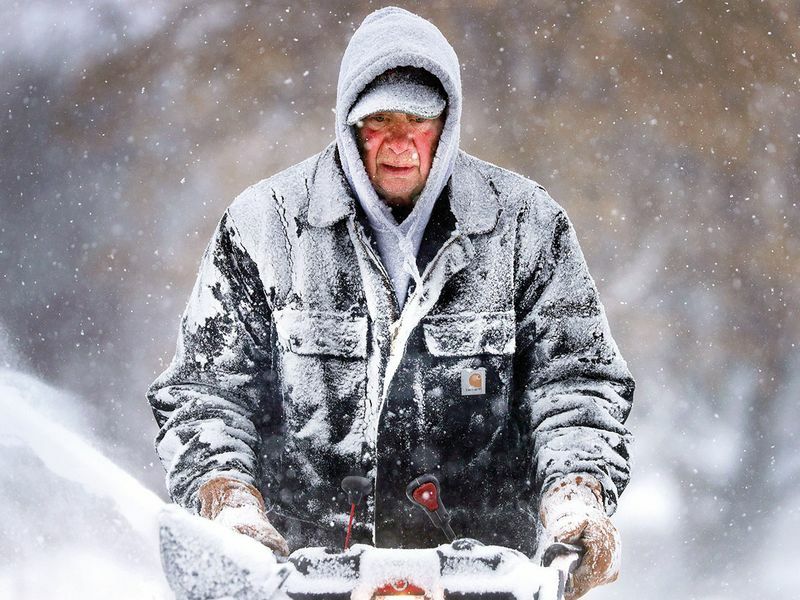 In Illinois, Governor J.B. Pritzker said wind chill could drive temperatures to -48.3C in northern parts of the state on Tuesday evening, a level that can cause frostbite in a matter of minutes. “This is a potentially historic winter storm that will bring extreme cold to our state and all Illinoisans must prepare,” Pritzker said in a written statement released by his office. Parts of north and central Georgia are expecting about two inches of snow or more in the coming days, along with freezing rain and ice-slicked highways. Georgia Gov. Brian Kemp shut down government offices in 35 counties Tuesday, and schools across swaths of the state are also closed. Air traffic in the region is affected, with more than 1,200 flights cancelled and as many delayed, the flight tracking site FlightAware.com reported early Tuesday.